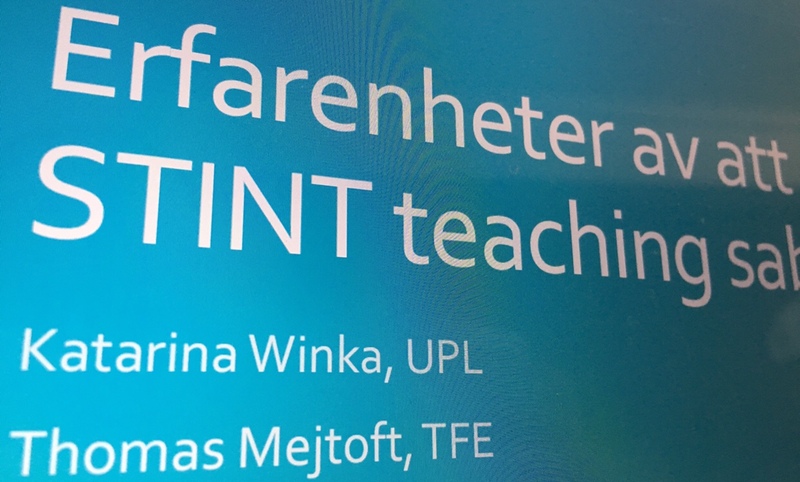 On April 23, 2018, Umeå University arranged a seminar for teachers at the university on the STINT Teaching Sabbatical. Last year I was sitting in the audience and right there decided to apply for a spot. This year I was one of the speakers. Together with Katarina from the Centre for Educational Development at Umeå University, that is going to Ohio State University in the US this fall, we had a short speech during the seminar. We discussed our experience of applying, and being accepted, to the STINT Teaching Sabbatical program. This was a great opportunity to, even before, the actual sabbatical started share our experiences to the next generation of STINT Fellows. Other speakers were last year’s fellow at NTU, Oleg, and Heidi, the very first STINT Fellow from Umeå University. If you missed the presentation, here are the slides.